The 2018 Audi Q5 has crossed 500 bookings in just one month. The car is larger, lighter, edgier and even more capable than before. Let’s have a look at various aspects of the car to know it better.. 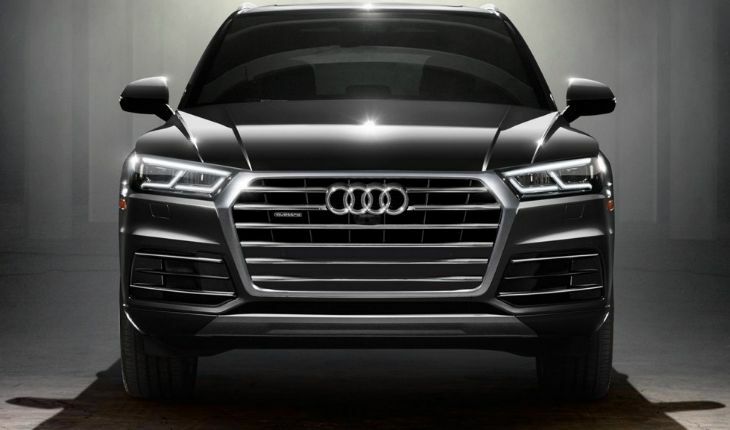 Starting with the exterior of the 2018 Audi Q5, in front is the signature hexagonal grille, daytime running lights (DRLs) and sleek headlamps. The SUV is highly inspired from Q7. The rear of the car has not received much cosmetic changes as it more or less the same. it has a new set of dynamic turn indicators and LED tail lamps. Side profile of car seems to be like before with no such prominent changes. Now that we have discuss the exterior, let’s see how the car in under the bonnet..
2018 Audi Q5 comes with a 2.0-litre diesel engine which produces maximum power of 190PS and churns out torque of 400Nm. The car is mated with 7-speed dual clutch transmission and is a four wheel drive. The milage figure of the car 17.01kmpl as claimed by ARAI. Coming to the cabin of the car, it has a dual-tone finish. The dashboard is by adorned by faux wood insert. Retractable infotainment system and AC vents offered in almost all latest Audi cars is missing in this one. The interior has a 7-inch infotainment system mated with Audi’s MMI interface, a bang and Olufsen sound system, virtual cockpit instrument cluster, panoramic sunroof, three-zone climate control and wireless mobile charging unit. After knowing the exterior, engine and interior of 2018 Audi Q5, its time know abut the amount it will cost you.. The Audi SUV comes with an ex-showroom price( Delhi) of Rs 53.25 lakh. The 2018 Audi Q5 has a number of competitors in the market like BMW X3, Land Rover Range Rover Evoque, Volvo XC60, Mercedes-Benz GLC.